A small Northern California destination with a whole lot of charm. Do you like outdoor water sports? Hiking? Seeing marine life in the wild? Good food, good shops, good wine? If yes to any or all of the above, you're in the right place! Just a short drive past Monterey on 101 is the charming, idyllic little village of Carmel-by-the-Sea. Part elfish, part old school seaport style, and definitely part Californian, this quaint town is the must for anyone visiting the Monterey Bay area. It's also easily explored by foot with a fair amount of parking. Carmel's beach is lovely, laid back, and offers some great dog watching if you enjoy watching pups frolic along the sand. It's a very dog-friendly place. It's right next to Pebble Beach/17 Mile Drive, so it's easy enough to make a weekend out of it, exploring this gorgeous part of the Pacific Coast at your leisure. It's $10 to take a car into 17 Mile Drive, but the views are well worth the tenner it costs. If you're lucky, you can spot some whales offshore, some sea lions, and even an otter or two. It's also home to the famous Lone Cyprus, which I have a beautiful image of, however, it's illegal to post photos of and like Baskin Robbins, they always find out. There is, obviously, exploring the beach with its beautiful white sand and gorgeous views. Bodyboarding is popular here, so grab your board but don't forget a wetsuit because the water is assuredly not warm. Fans of beautiful views will want to explore 17 Mile Drive, which can be accessed either off Highway 1, through Carmel, or through Pacific Grove. Just remember to have $10 cash to get in, and don't forget the camera! Point Lobos is an excellent place for a coastal hike, where you'll definitely be able to spot some of the delightful otters that call the bay their home. It's a very easy set of trails and roads to walk around. For the shopaholics, there's plenty of charming boutiques and upscale shopping here from Lush Cosmetics to Chanel, or beautiful Turkish lanterns and a store devoted entirely to socks. If you want to taste some truly excellent olive oil and vinegar, Trio Carmel is the shop for you. With so many excellent flavors, like an out of this world strawberry balsamic, you'll never look at regular store bought the same. If wine is more your speed, there's several tasting rooms just off the main Ocean Avenue, featuring some of the excellent wines grown in Carmel Valley. You can also drive into the Carmel Highlands and visit a few of the wineries as well, while taking in pretty mountain views. Little Napoli is my favorite restaurant in Carmel, a charming Italian place with delicious food, especially the Hobo Stew. A short rib stew in a rich, meaty, wine laden sauce served with root veggies over ricotta gnocchi? YES PLEASE! Dametra Cafe is another great Mediterranean option where you can enjoy dinner while being serenaded to lively music. For a sweet treat, head to Carmel Bakery and enjoy some well-sized pastries or a scoop of ice cream. The Coffee Cookie Crunch is pretty excellent. Speaking of coffee, for a java pick-me-up, Carmel Valley Coffee Roasting Co. is where it's at. Straightforwardly great coffee will have you perked up as you power along Ocean Ave. There are numerous inns in the village, from a Best Western to the charming Pine Inn. As I'm Bay Area local and haven't stayed overnight in town, I don't have a personal recommendation but from research I've found most the inns appear to be quite lovely. Doris Day fans may want to opt for the Cypress Inn, which Day jointly owns. It's also easy enough to find accommodations in Monterey, as the towns are a short drive from each other. 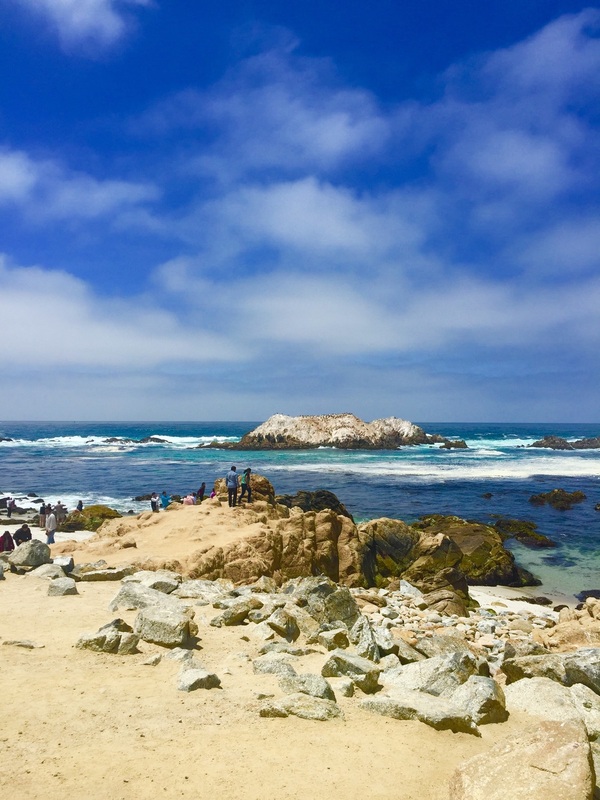 If you're in the Monterey area or doing the coastal 1 Highway drive, definitely consider Carmel-by-the-Sea for a day trip. You won't regret it!